Ronin can help you run your business. Here's how. 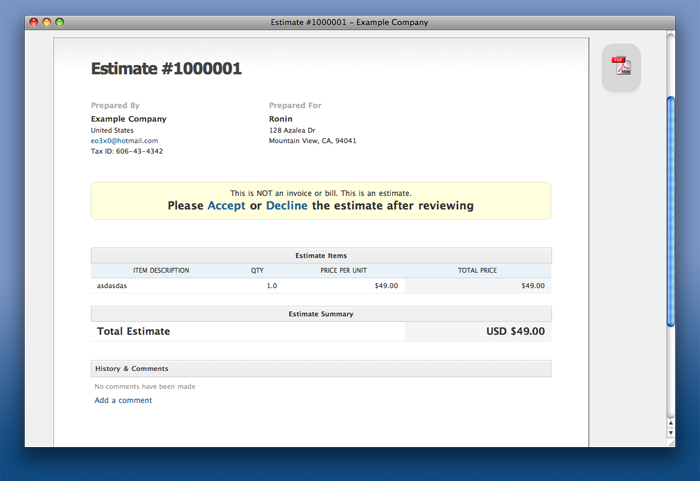 Ronin is online invoicing with style. It has all the features you need and none that you don't. Invoicing, estimates, client management, staff, contractors, and time tracking all in one easily accessible web application. Take a deeper look at some of the features that you'll learn to love. We'll walk you through some of the key components that make Ronin so great. 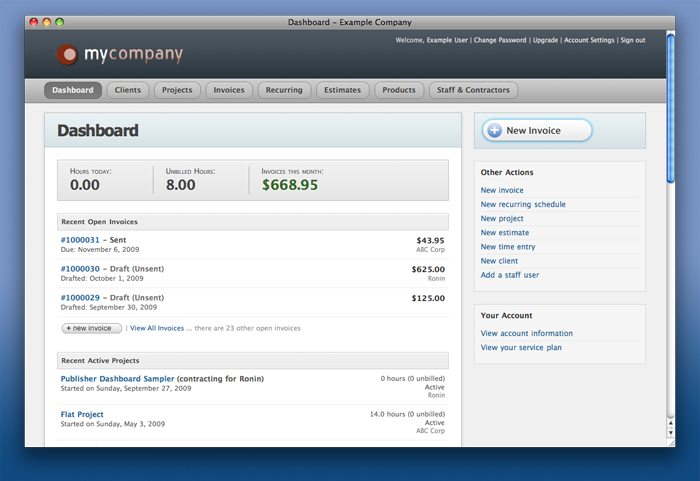 The dashboard provides an at-a-glance summary of account activity for all of your staff users. 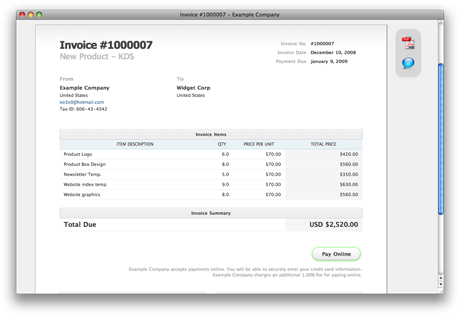 Quickly access existing invoices and create new clients. 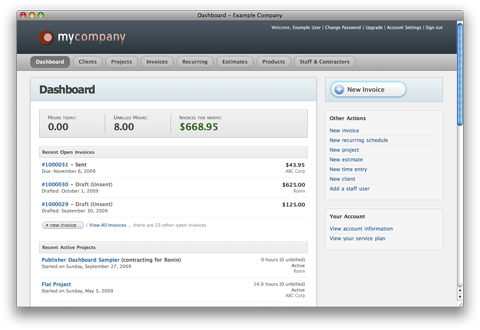 Manage your account with simplicity. 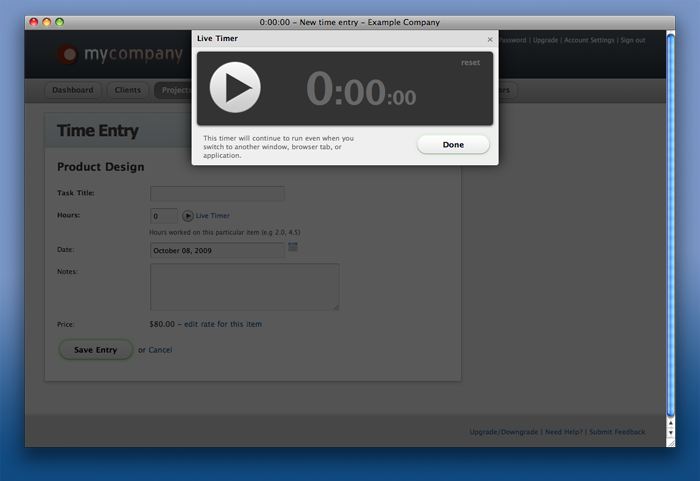 The client page is a log-in point for your client contacts. 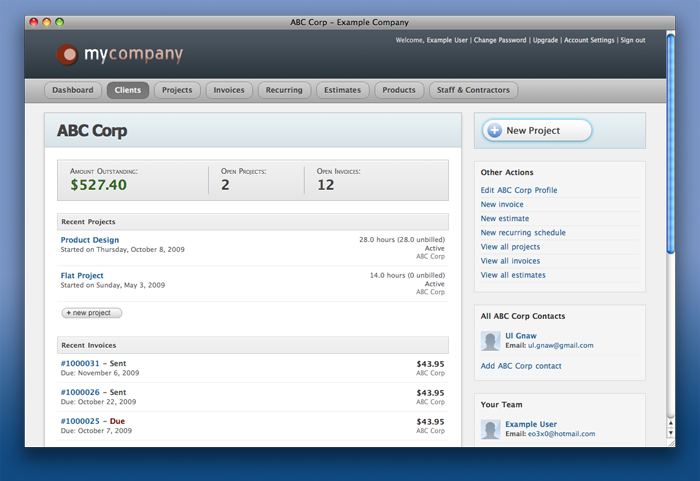 From here they can quickly get access to on-going projects and open invoices. 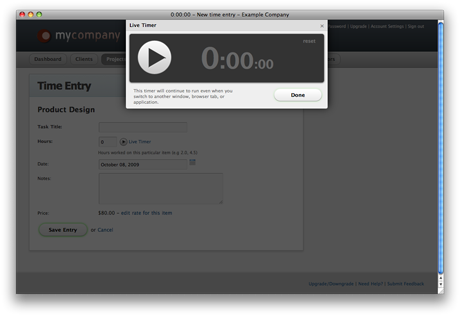 Your staff users and employees can add track time against client projects. 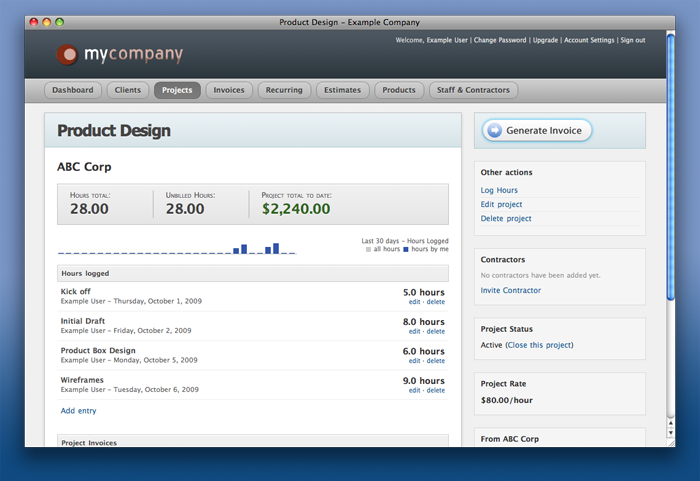 Generate invoices from finished projects with a single click. 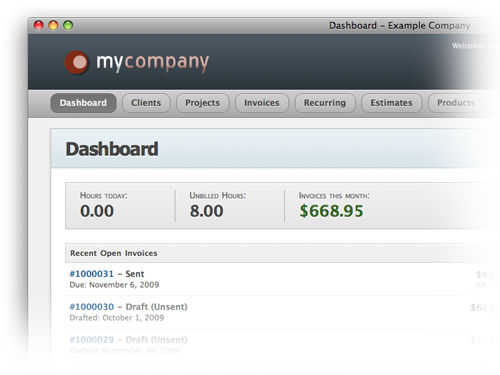 Create invoices from scratch or generate them from projects. 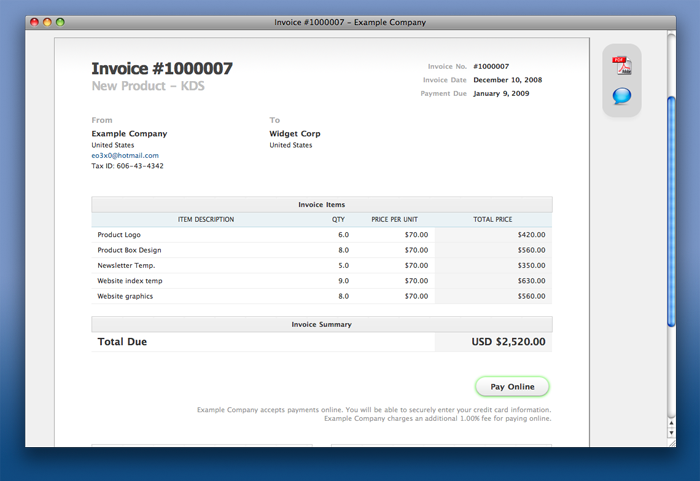 You can send out invoices with the simple click of a button. 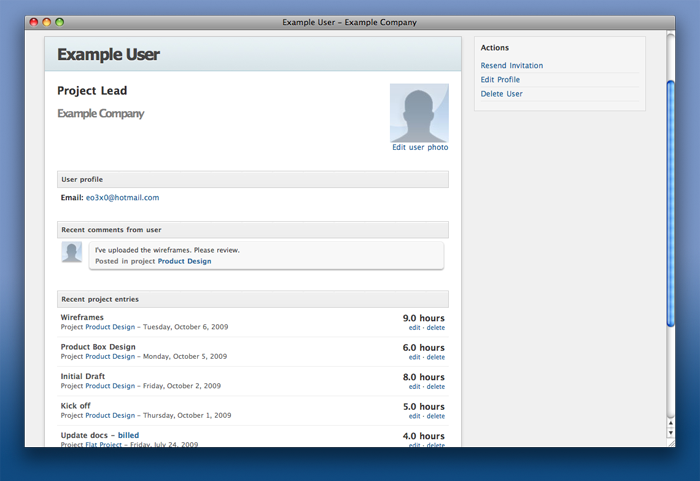 Your client contacts will be instantly notified via email. 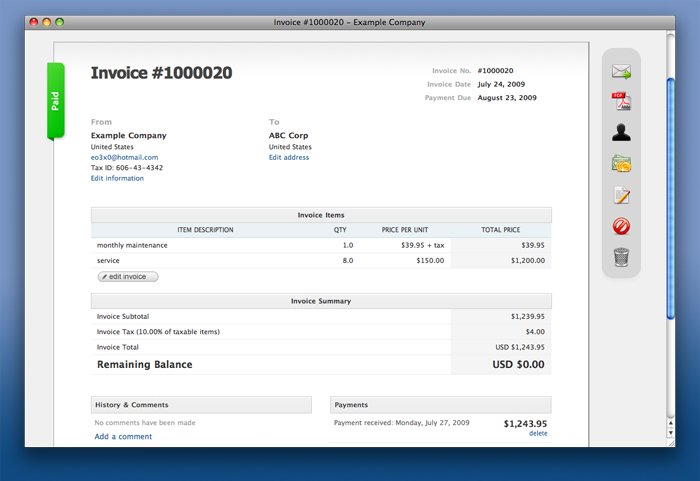 Sign up for our Professional plan and get PayPal & Authorize.Net integration. 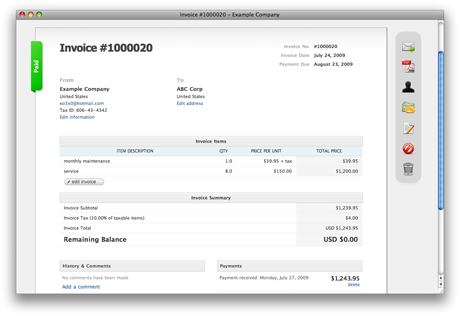 Your clients can pay invoices online, allowing you to get paid quicker and look professional. 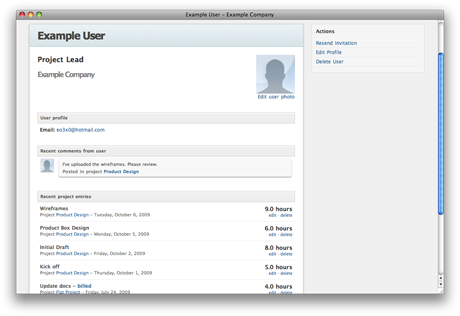 Each staff user and client contact has his or her own profile page, complete with activity log of past project items and comments. 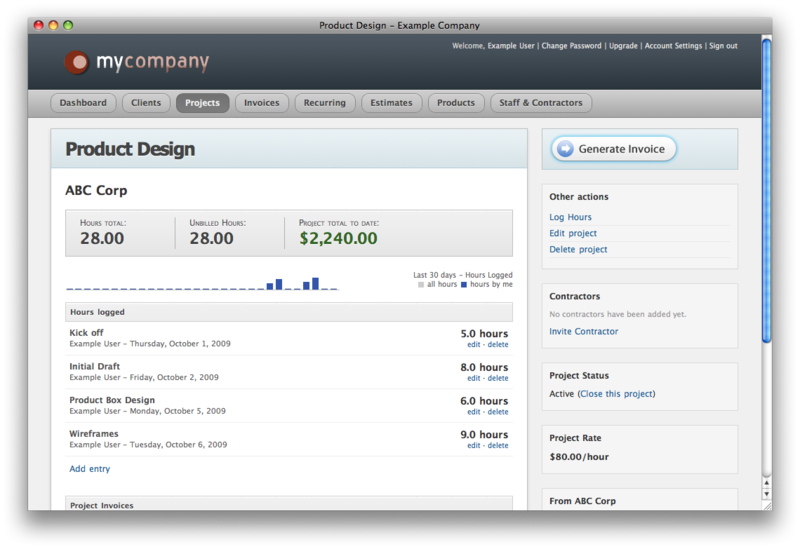 Ronin comes with a built-in timer to help you track time against projects. Never lose another minute. 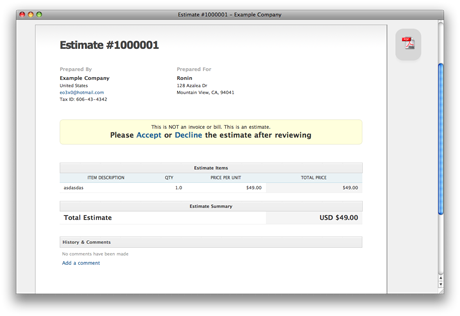 Ronin handles estimates as well as invoices so your entire engagement cycle is covered. Get proposals approved faster. No installation. No software to maintain. No credit card required (for free plan). Nothing to lose.